A couple of days ago I arrived home from Canada where I had the honour of Bridesmaid duties for my best friend getting married there. It was a rather lovely affair with yacht clubs, Toronto views and cocktails abound. But one piece of inspiration that I have brought home with me that I am particularly excited about is ... bows. My best friend's wedding dress featured a large white bow at the back, it was utterly adorable. She paired this with some gorgeous sequined shoes with a bow. I may now be a little hooked. Of course, the first thing that I do to combat my jetlag when I reach ol' Blighty is to start perusing my favourite high street stores for awesome fashion with bows. I have decided my current favourites are handbags with bow details. And surprisingly they aren't all as 'cute' as you'd think. Some are rather classy I think. 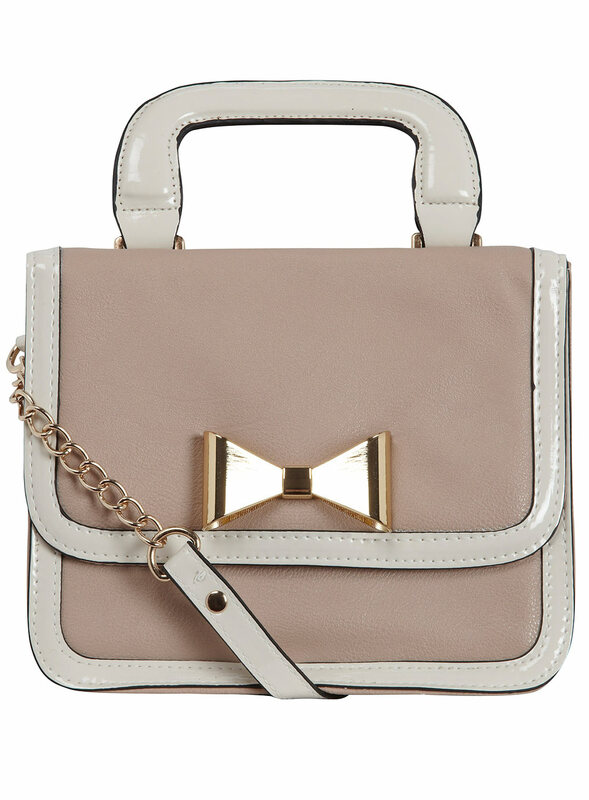 A rather sweet preppy satchel-style bag in blush with a cute gold bow detail. For £18 from Dorothy Perkins it is a bargain bow accessory. 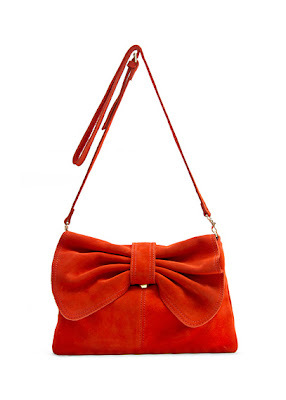 I just love the slouchy style of this red bow bag from Mango. It is currently in the sale for £29.99, down from £59.99. Bargain! 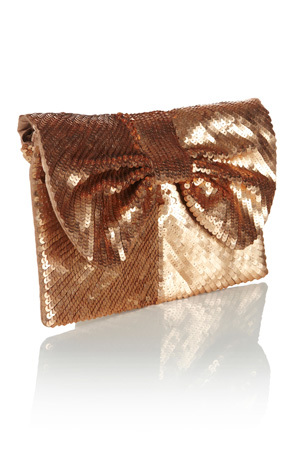 This gold sequin bow clutch bag from Oasis is probably my favourite. It is also in the sale for £8 at the moment, which is an absolute steal. Another satchel style hangbag with a sweet bow detail. This time from New Look, this little bag has a gold chain strap which I think contrasts nicely with the bow. It kind of adds an edge to the feminine details. It is priced at £9.99 which is another bargain, I reckon. The bow on this bag has been cunningly disguised amongst the folds of the fabric giving it an air of sophistication for those who need bows in their life but without too much fuss. 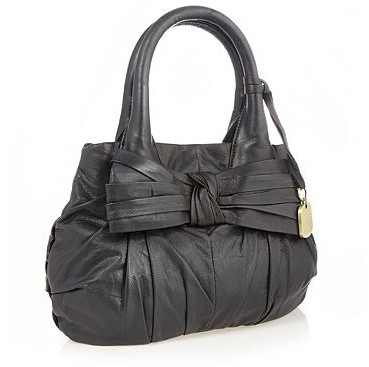 This gorgeous black leather Betty Jackson for Debenhams bag is £55.